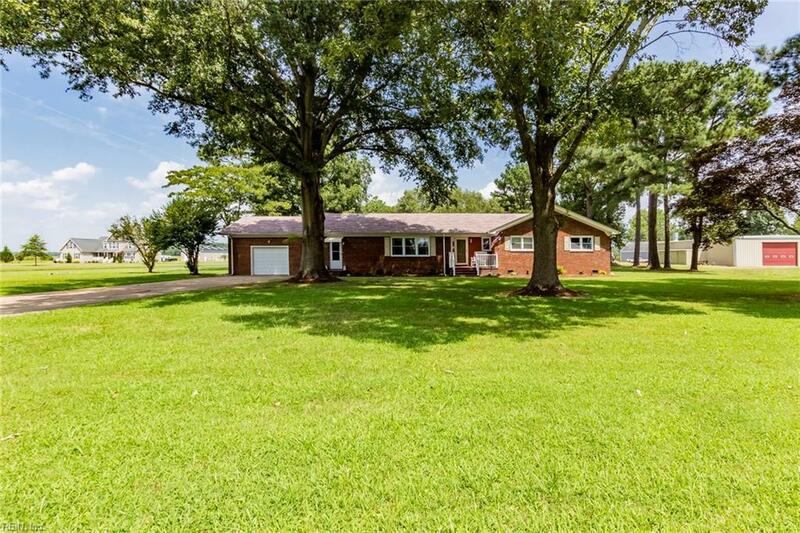 2300 Carolina Rd, Chesapeake, VA 23322 (#10213511) :: Abbitt Realty Co.
Heres your chance to own what everyone wants! 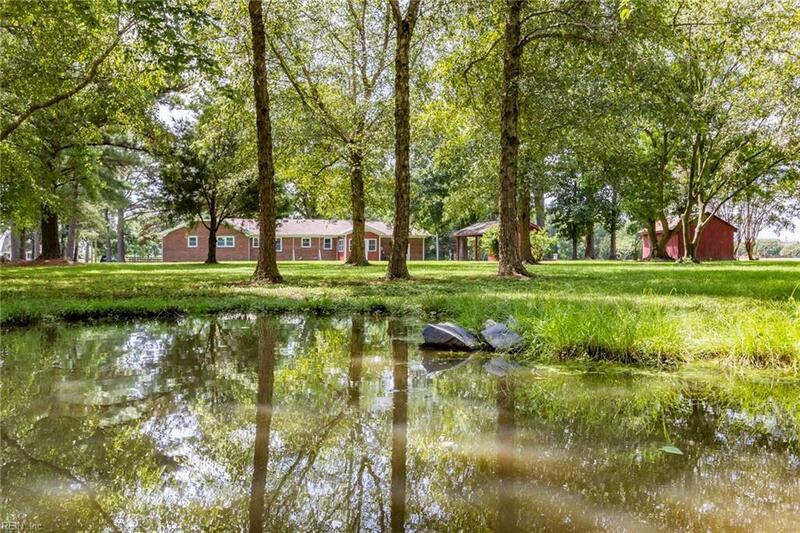 A few magical acres in the country, located near town. 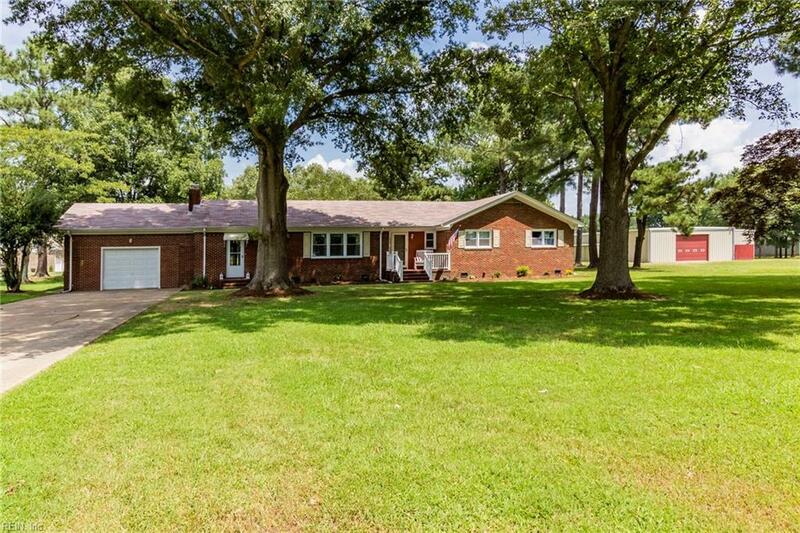 This classic four bedroom, two and a half bath, well maintained ranch sits appointed on 4 beautiful acres with a 3000 SqFt steel pole commercial building. Boasting a beautifully updated kitchen, gleaming hardwood floors, a formal living and dining room, a cozy keeping room with a gas-log fireplace and a sun-room. 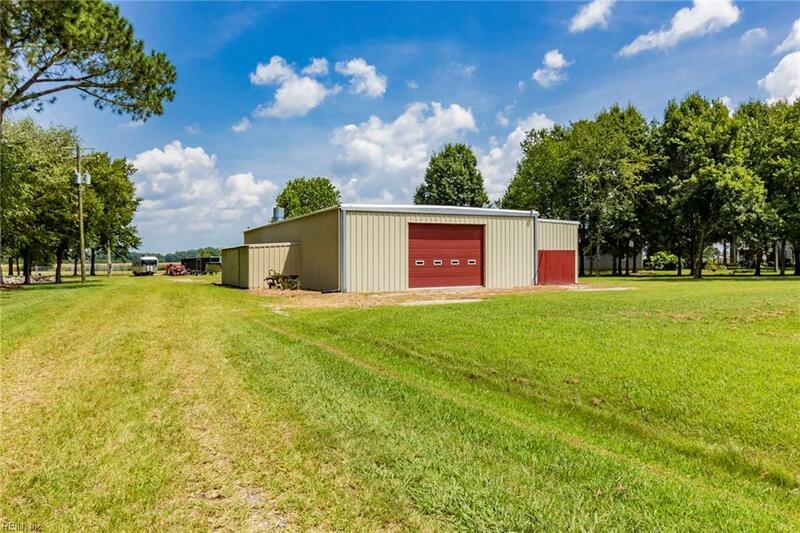 The 40x75 foot steel pole commercial building is quintessential for the car enthusiast, hobbyist or equestrian. It offers double decked storage, a full bath, heating/ac, industrial benches and utility sink.Tucked away is an open inviting spacious covered outdoor living space. It features distressed wood with muted brick walls for a casual weathered look and is fabulous for entertaining family and friends.Come live your best life!